Not all book/catalogue/portfolio bindings are the same. Depending on budgets or thickness (the number of pages) there are several ways to bind. And choosing what kind of binding is an important part of a finished printed project. Saddle stitching is the most commonly used binding and the best economically. First, the pages are creased and folded. Then wire is punched through the booklet’s outside spine and bent flat on the inside center fold. It’s similar to stapling, but not quite. This stapler is stronger and specifically designed for stitching. 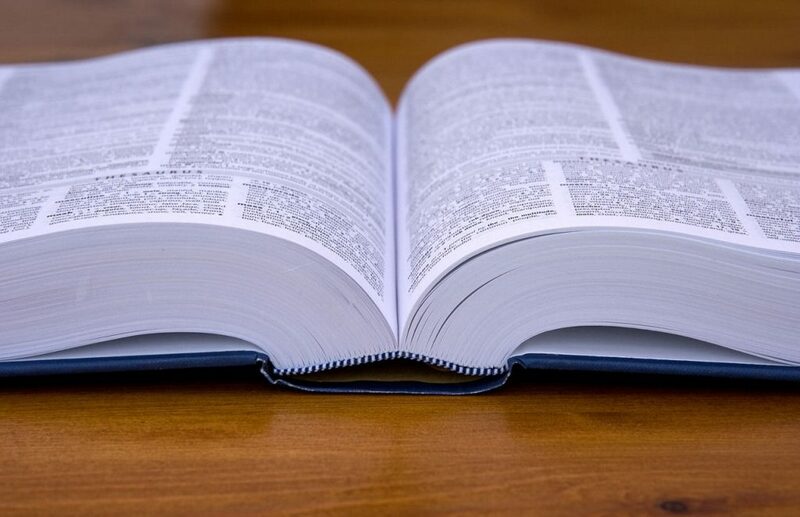 It’s usually used on booklets having less than 16 pages. Perfect bound is usually used in paperbacks or softcovers such as manuals, ad journals and catalogues. 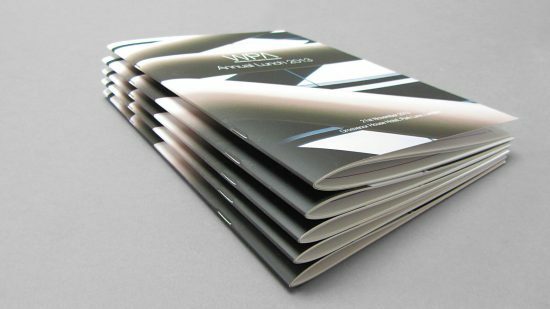 Sections of the book’s folded pages are trimmed, collated and then glued to the heavier wrap-around cover’s spine. These booklets often don’t lie flat (as seen above). The bind uses adhesive tape. The tape is wrapped around the spine to hold the pages and cover in place. Pages usually need to be stitched, for reinforcement and strength, before taping. This binding method is both strong and economical. It’s perfect for low volume prints because it doesn’t require hole punching and gives a professional, clean appearance. The document is also able to lay flat when it’s open. 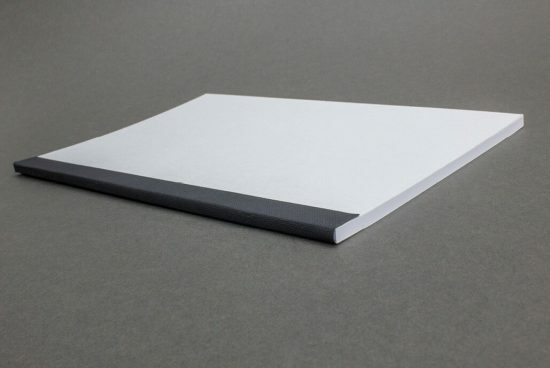 This is the standard binding for hardcover books and the most secure of all bindings. Typically the inside pages are folded together and then sewn together in small sections (signatures) along the spine. The signatures are then glued to the end papers which are then glued to the cover. The spine is then glued for better support and the cover attached. This binding is best for books that will have long shelf lives or heavy use. It’s the most expensive of bindings, but the selling price is often quite higher than other books. Covers fare often made of finer materials such as cloth, leather or vinyl over the hard cardboard. These finished books will lie flat when open. Screws or studs hold the pages together. Holes are first drilled through the document and screws or studs are inserted and capped to hold the pages together. 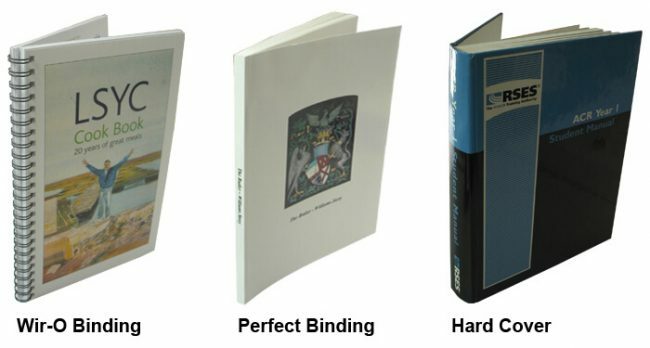 This binding method is commonly used for swatch books. Loop stitching is similar to saddle stitching, but these wired loops are made for the document to be inserted into 3-ring binders. Useful for large collections. This type of binding is perfect for manuals and books that need to lie flat when open. Rectangular holes are punched through the booklets and the plastic combs/rings are threaded through. A plastic comb covers the page edges at the spine. Also known in the business as Plastic Bound. The term Comb Binding is more commonly used because the spine resembles a hair comb except that it’s cylindrical. 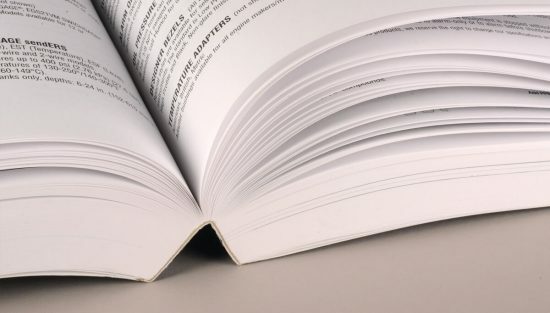 A smooth, round coil is used to hold the pages together, allowing the book to lie flat when opened. Also the pages can be turned all the way to the back. Holes are punched through the document and the wire threaded through. The ends of the coil are crimped so the wire won’t slip off. Often used for school and university booklets. 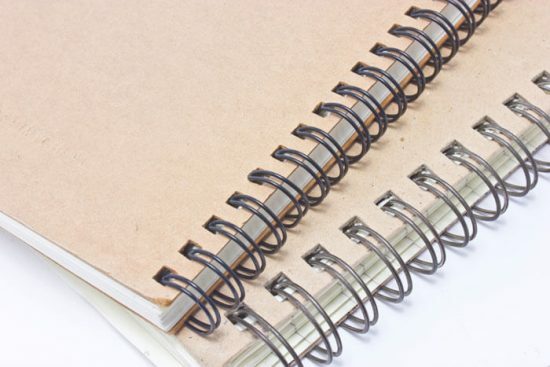 Also known as Wire Binding, it’s comparable to spiral coil binding but has a nicer, richer appearance. First, holes are punched through the document. Then pre-formed pairs of wire loops are inserted through the holes. These loops run along a C shaped piece. The loops then are crimped closely until a perfect circle is formed. 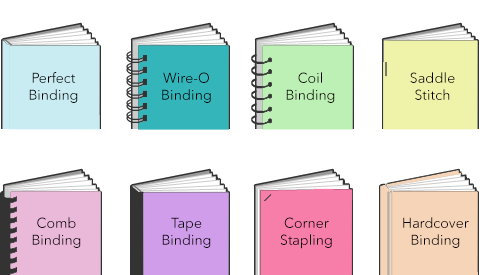 Wire-O binding offers many of the same benefits as spiral coil binding, but is more sophisticated in appearance. The finished books will lie flat when open.